Bluecoats product release: The Bluecoats' 2006 production of "connexus" propelled the corps into the top four at the DCI World Championships in Madison, Wis., earning the highest placement in the corps' history. 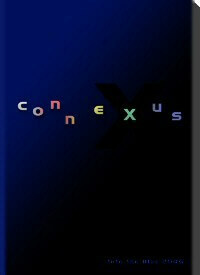 The 2006 "connexus" DVD features a professionally filmed behind-the-scenes look at the corps' amazing guard work, lush and beautiful brass sounds and pioneering percussion. Learn more about the product and view a video preview at www.bluecoats.com.